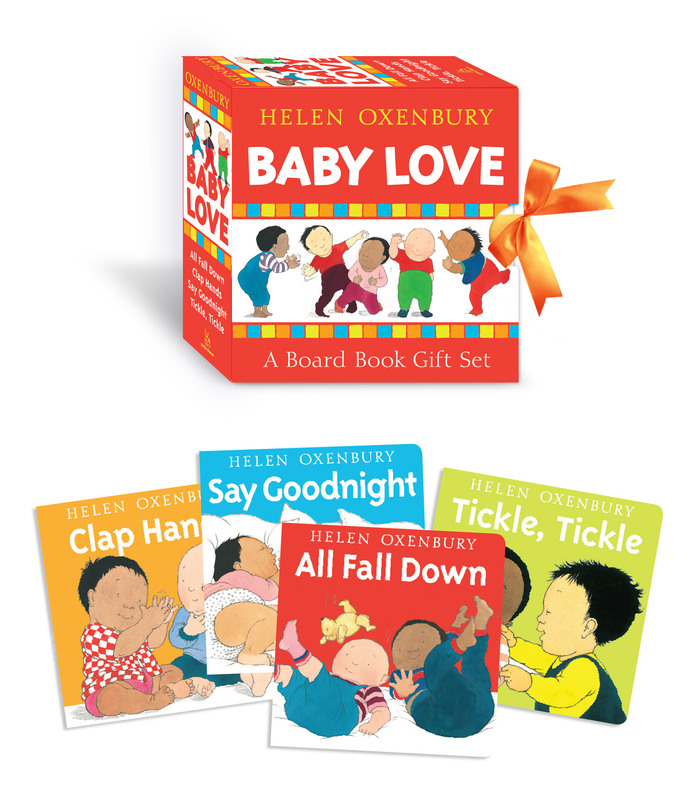 Helen Oxenbury’s most loved board books are now available in an adorable mini-board book boxed set! This collection includes full mini-editions of Clap Hands, Say Goodnight, All Fall Down and Tickle, Tickle with newly refreshed covers. With a total of almost half a million copies sold in the past 10 years, these winning board books capture babies at their playful best. The adorable slipcase will include a ribbon closure, adding a sweet detail to this collection of children's favorites. Helen Oxenbury’s simple text and lovable artwork is the reason why she remains one of the world’s most popular children’s book illustrators.